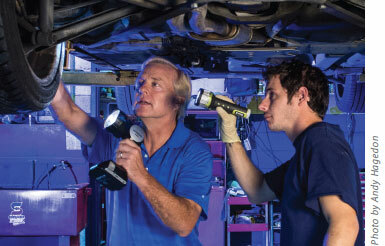 Dennis Walczuk, left, and mechanic Greg Elliot do what they do best: keep BMWs running smoothly. Walczuk moved to the Lowcountry in 1989, and, after spending 17 years working for various BMW dealers, he decided to open his own repair business. Walking into the Exclusively Bimmers current Mount Pleasant location, clients immediately feel at home. For one thing, Walczuk’s two American bull terriers roam around the main lobby, giving a friendly sniff or nudge to the regulars. At Exclusively Bimmers, the name pretty much says it all: Walczuk works only on BMWs. “Are there really that many people in this area who drive a BMW?” I asked. He added that his old-fashioned, small-business friendliness, along with his attitude of fairness and honesty, keeps the customers of Exclusively Bimmers coming around. 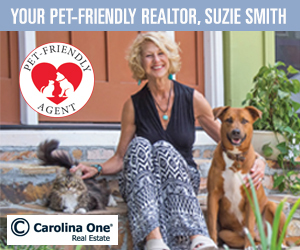 One of Walczuk’s longtime customers, Betsy Cormany of Carolina One Real Estate in Mount Pleasant, has been visiting Exclusively Bimmers for years. Exclusively Bimmers is located at 900 Lansing Drive in Mount Pleasant. 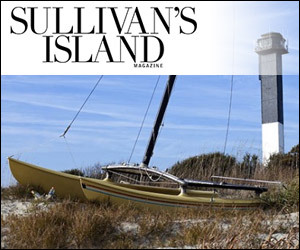 To find out more, call (843) 856-3343 or visit www.exclusivelybimmers.com.